Frameless shower screens set the benchmark in style and design for any bathroom design. Our screens will complement all types of bathrooms, instantly transforming the space into a place of luxury and comfort. 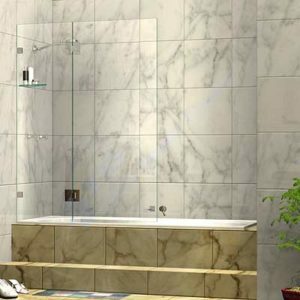 With the huge range of styles and sizes we can find the perfect set up for your bathroom. If you can’t find the size that fits your requirements, send the specifications to our experts and we will provide a quote for the custom design. Need someone to assist with installation of the shower screen? bluepage also offers a full range if installation services. For custom enquiries, contact us today on +61 08 9297 4497 or fill out the contact form with all your required details and a representative will get back to you as soon as possible.